A typical type of heat exchanger is the indirect where the heat transfer fluid stream is separated by a dividing wall. This type is known as a Surface Heat Exchanger. 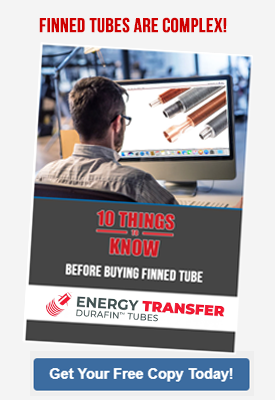 The most common use of this type of heat exchanger employs metal tubes as the dividing wall. 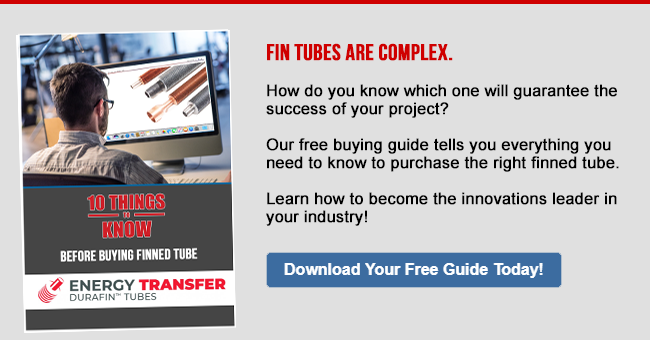 Many styles of tubing can be used such as smooth, inside and outside enhanced, or fin tube. Extended surfaces or fins are used to increase the surface area with the goal of increasing the total rate of heat transfer. Therefore, making the system more efficient and saving energy.